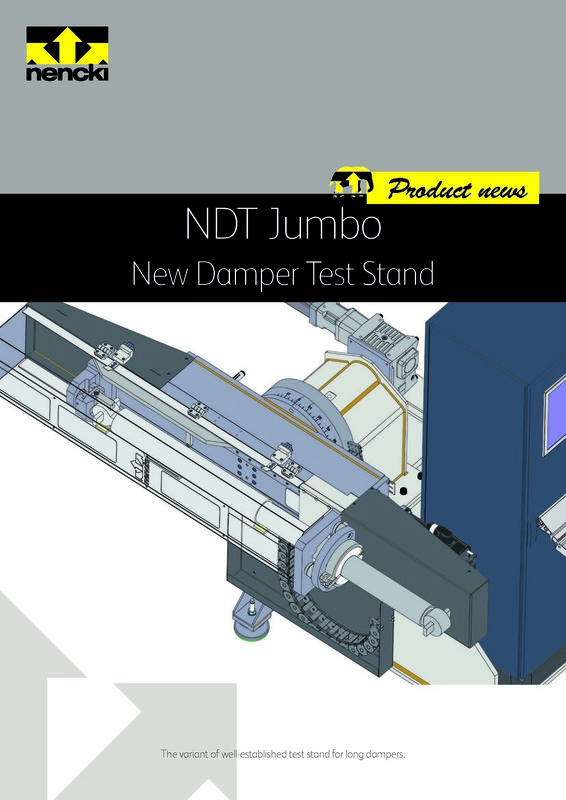 Factory acceptance of Rail Test Press NRT 2000 with Schlatter Industries AG and MTR Hong Kong. 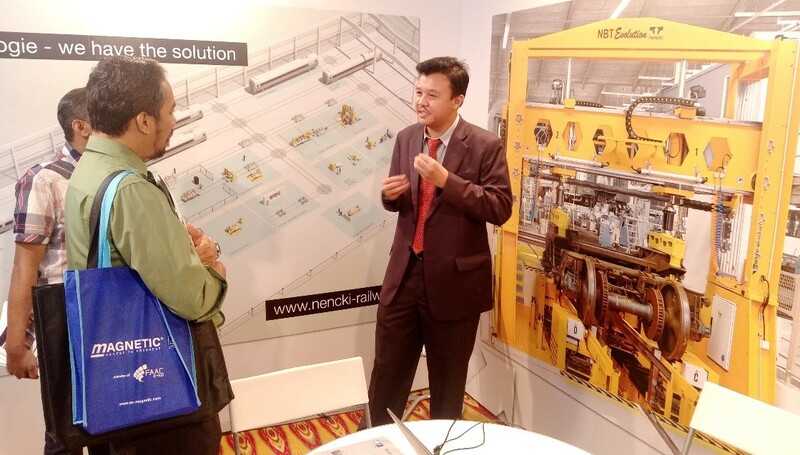 Nencki at the exhibition "Rail Solutions Asia" in Malaysia . 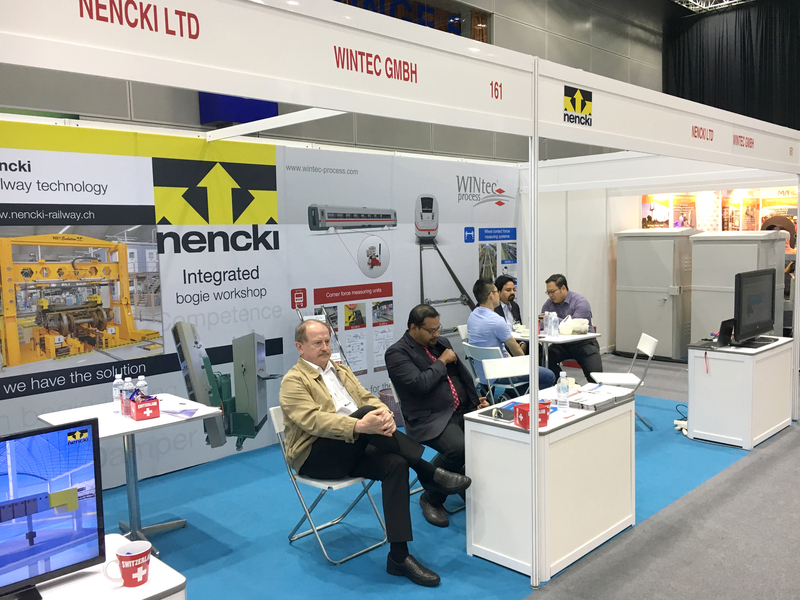 Together with WINtec Process GmbH, we are sharing a booth at the KLCC Conventional Hall in Kuala Lumpur. 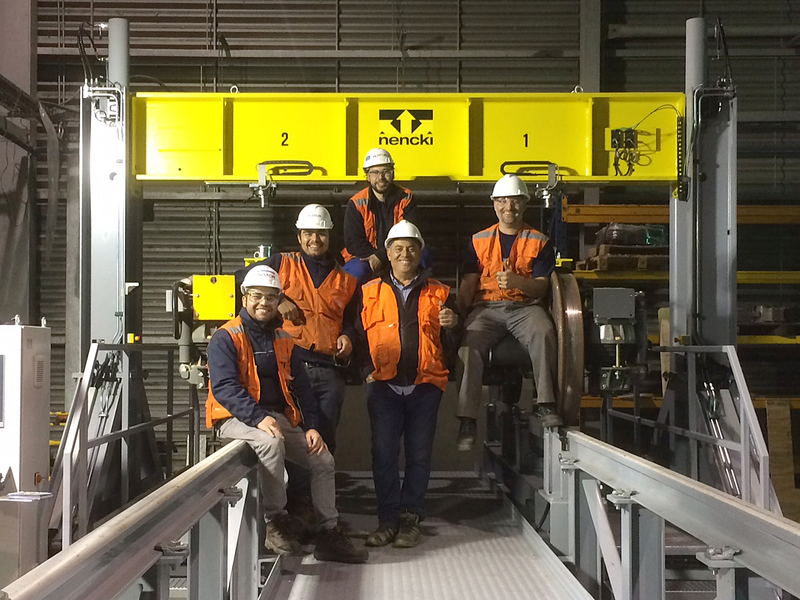 Acceptance of a bogie test stand. 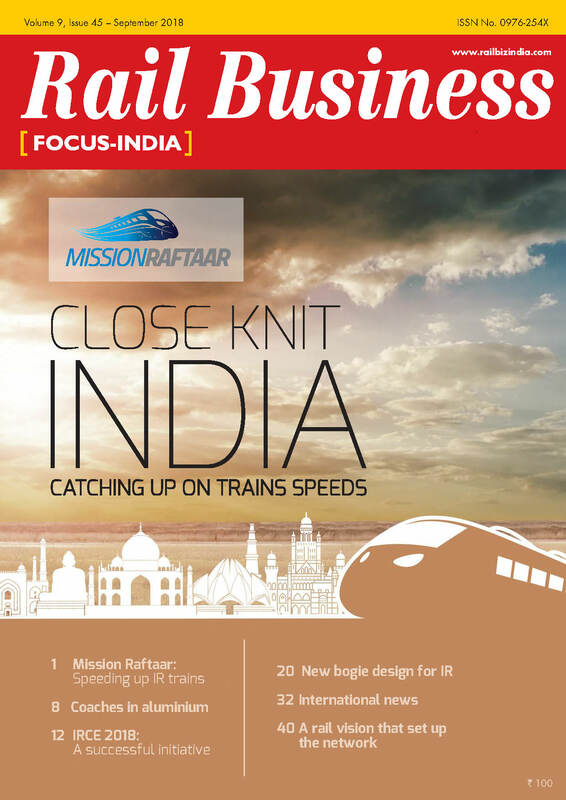 Article in an Indian magazine by our Walter Kellenberger. Paul Seger, Swiss Ambassador in conversation with Nencki CEO Seppi Käppeli. 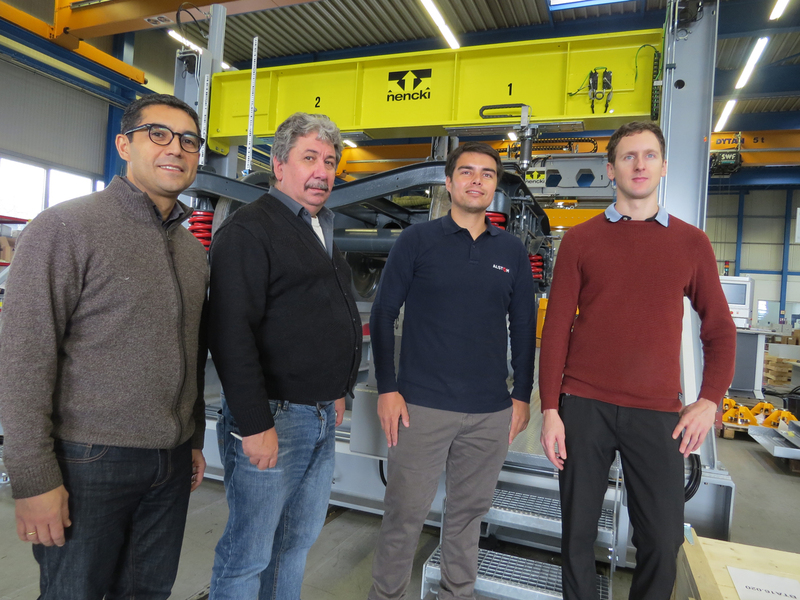 TST to visit the company in Langenthal. We are very happy to be a new member of the TST. 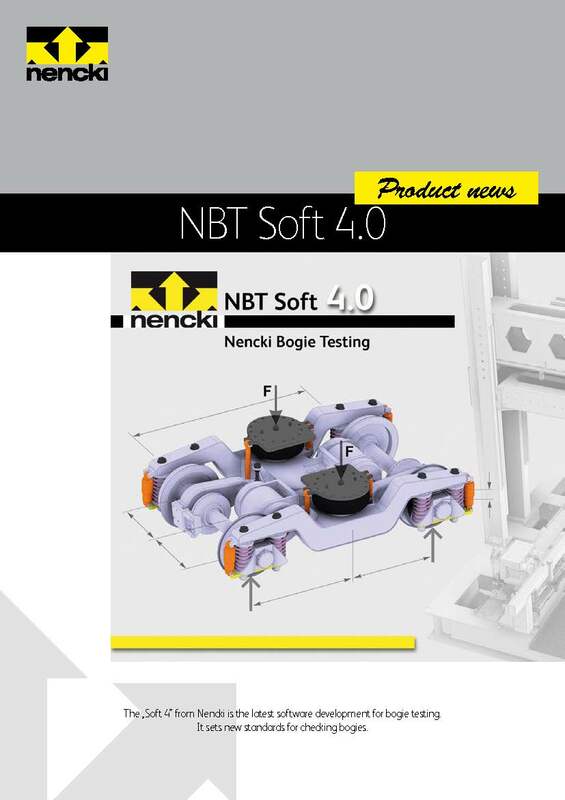 Developing advanced technology and providing local support to customers worldwide are important values at Nencki. 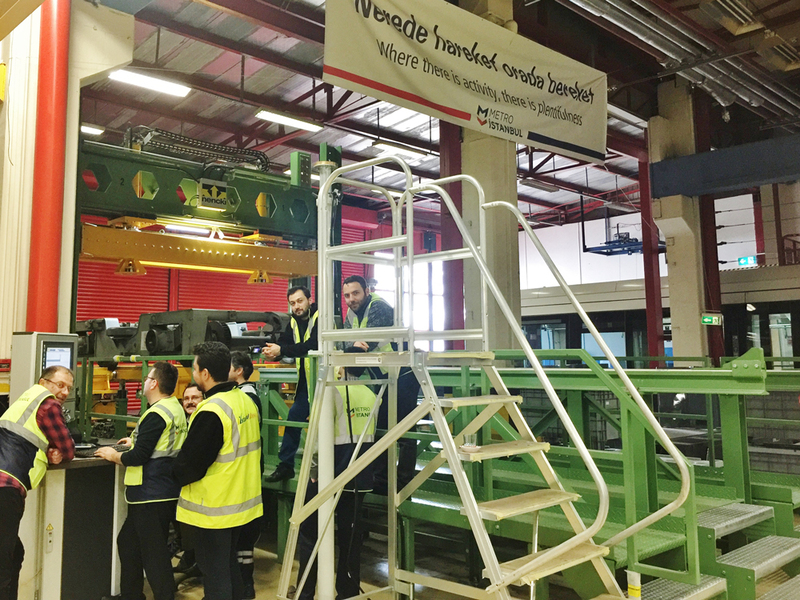 Pictured is the intensive training being carried out by service engineers from the company’s representative Mizana Engineering. The company will be performing local after-sales service support. 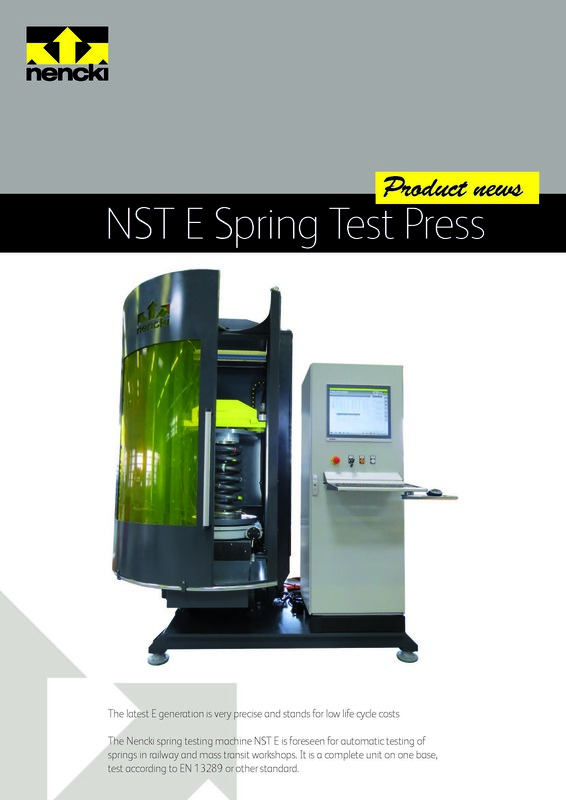 The NST E spring test press will be shown at Nencki’s booth in hall 23a at InnoTrans. We are pleased about the new ISO 9001 certification! Regardless of a freight, a highspeed, a normal speed or a mass transit train – nobody wishes for an accident caused through derailing. In the event of an incident, due to a faulty bogie, the operation of a complete metro line can be interrupted followed by immediate negative news headlines in the press and social media. A worldwide topic is the reduction of wheel wearing in order to minimize the life cycle costs of a train. An important factor to reduce the mentioned problems and risks is to adjust and control the correct wheel load. 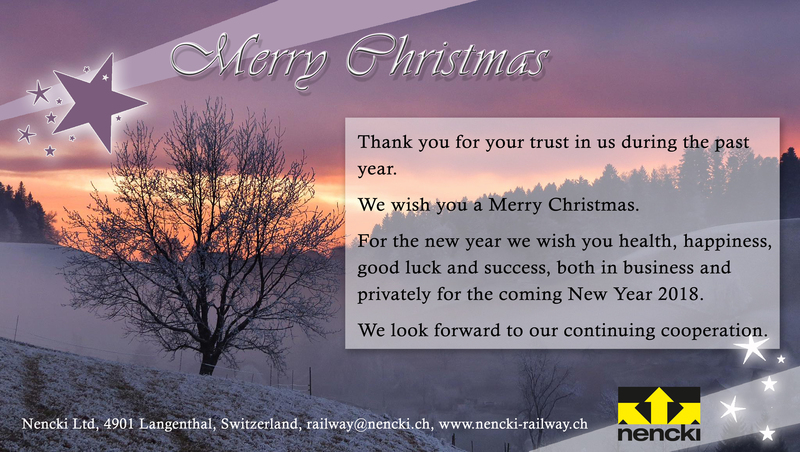 The railway division of Nencki Ltd. wishes everyone happy holidays and a good start into the new Year 2018! We thank you for the good cooperation last year and look forward to further challenges in the new year! 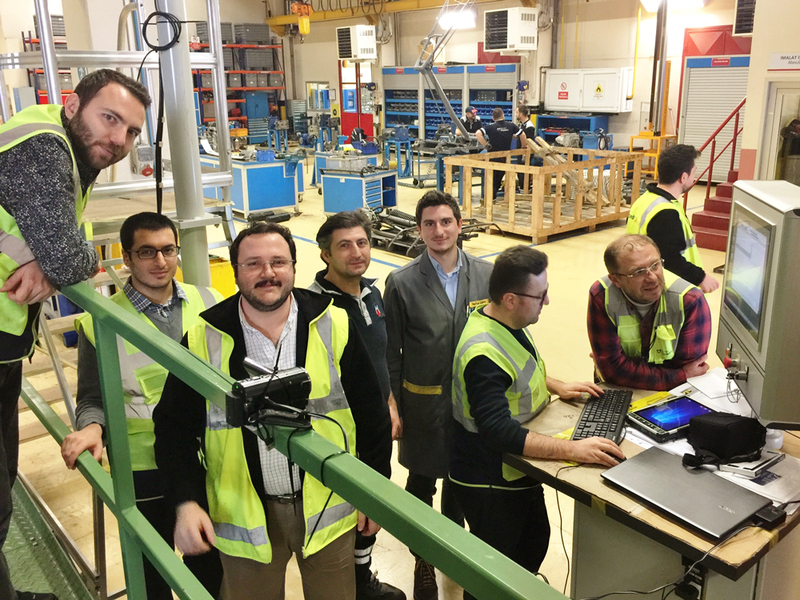 Earlier this year, Nencki AG commissioned the 100th bogie test bench at Siemens AG in Allach, Munich. 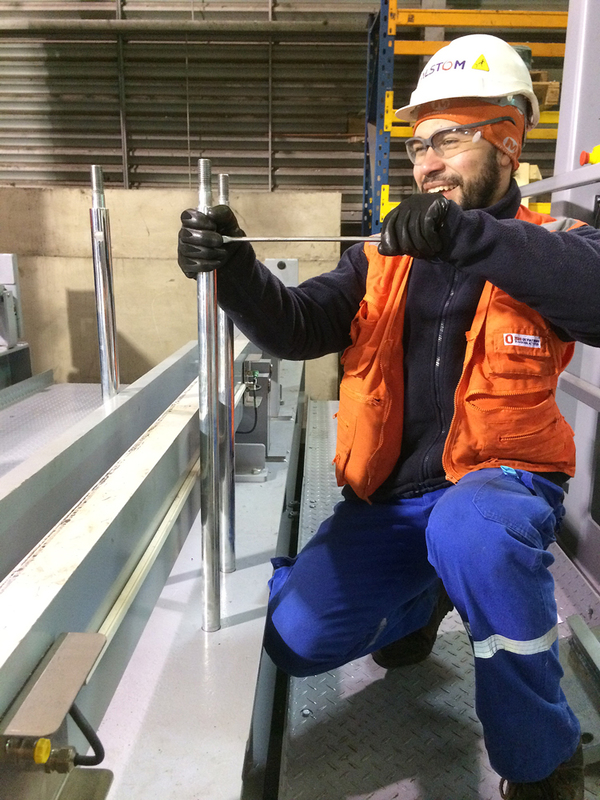 Additionally to the production of locomotives, also the maintenance of locomotives is carried out at this Munich plant. The completed bogie can be moved through a shifting device, directly from the axle assembly stand onto the bogie test bench. 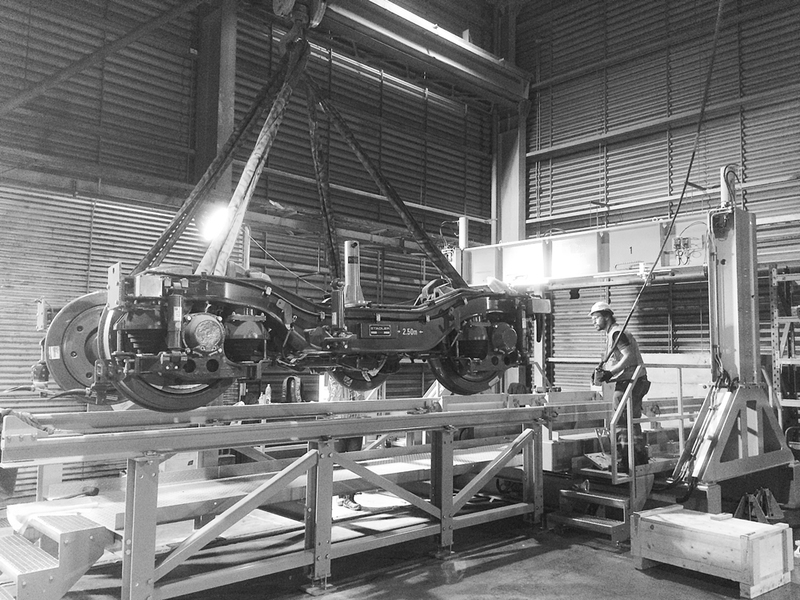 After the test is completed, the bogie is returned to the axle assembly stand and transferred in its lowered position to the final locomotive assembly by a self-propelled special vehicle. 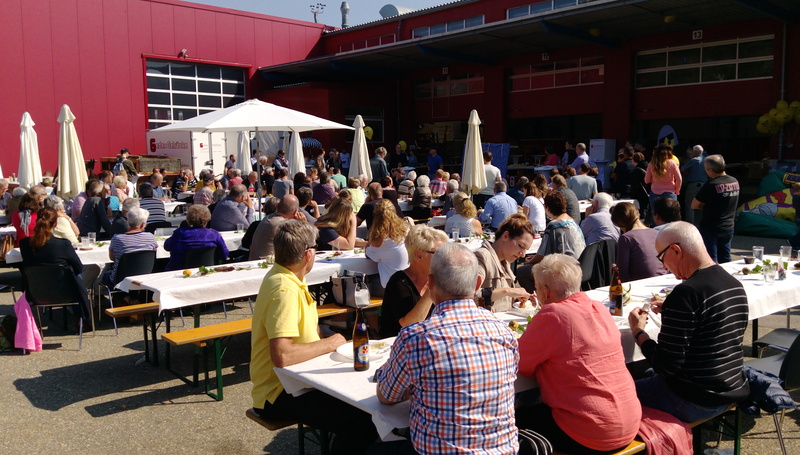 Many guests were welcomed in Langenthal. 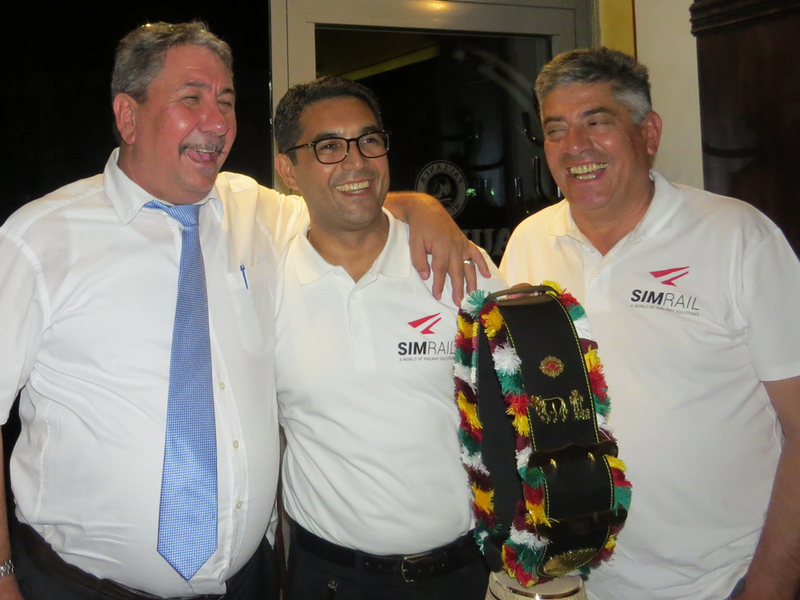 We thank the organizers, all the helpers and of course the many visitors for a great party. 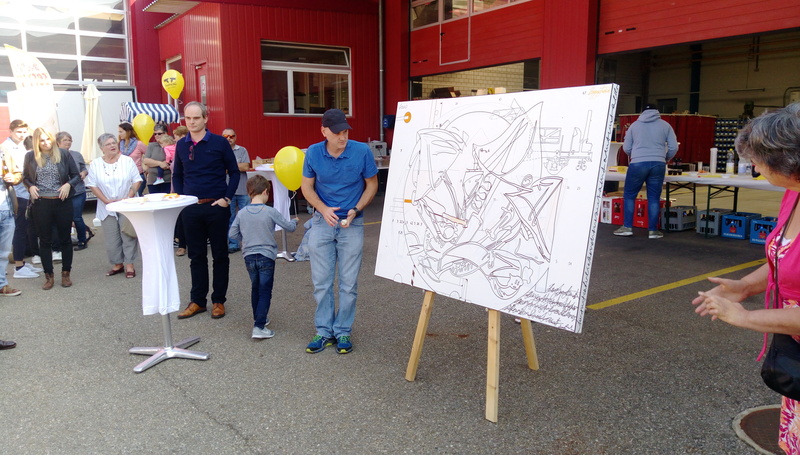 The masterpiece designed by an artist can soon be visited in the entrance area of ​​the Nencki Ltd in Langenthal. 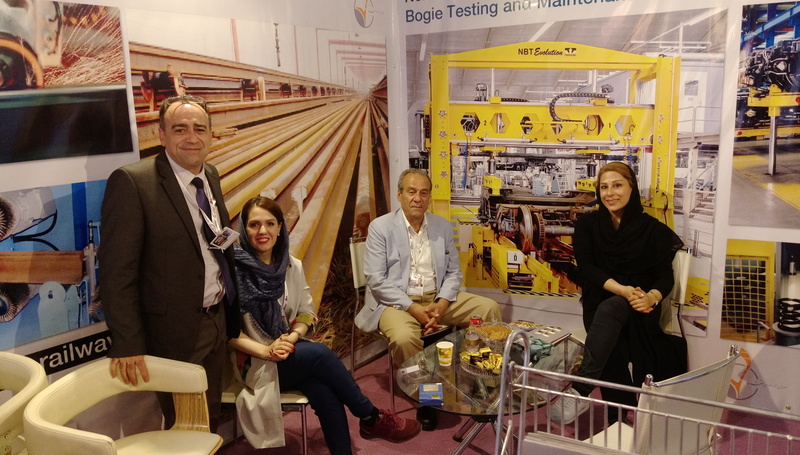 There was a great interest into bogie testing technology. 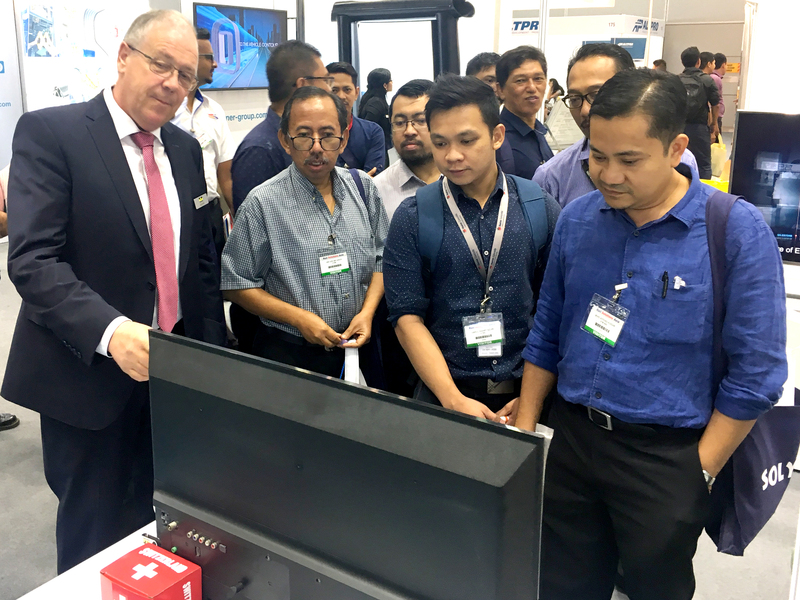 We would like to thank our local partner for the organisation and all the customers for visiting us on our booth. 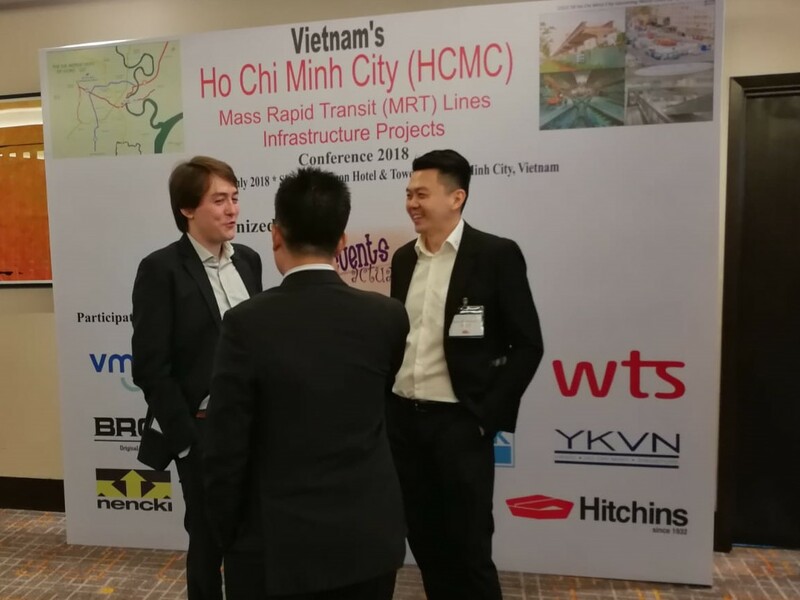 This is the yearly conference of the Asian Railway Operators with exhibition. 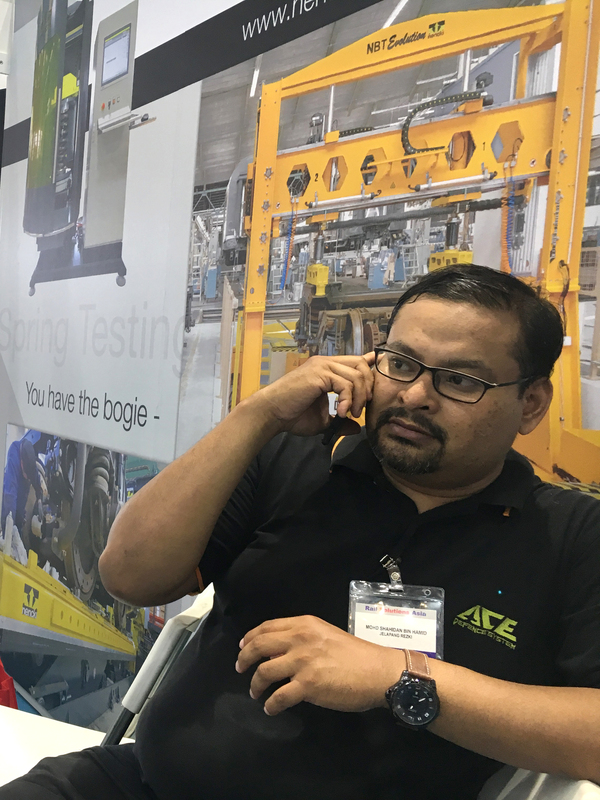 We could meet important decision makers from Malaysia and many other mainly South Asian countries and introduce our new concept for bogie maintenance. This is the 4-yearly international exhibition for track technology. 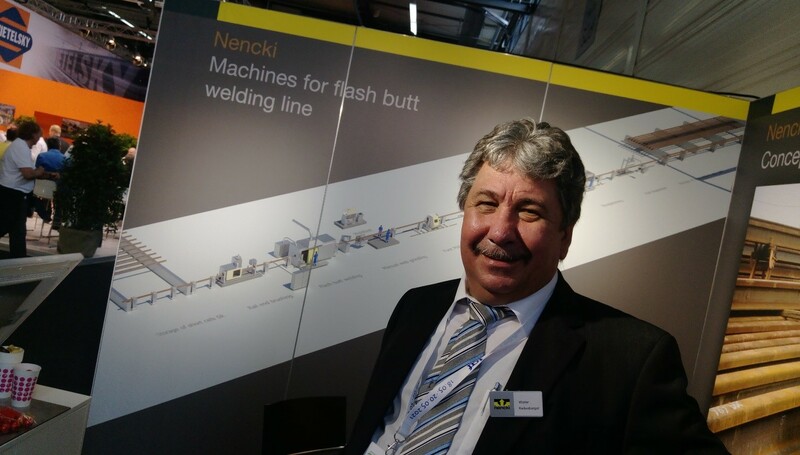 Nencki Railway Technology introduced the new concept for Stationary Railway Welding plants. 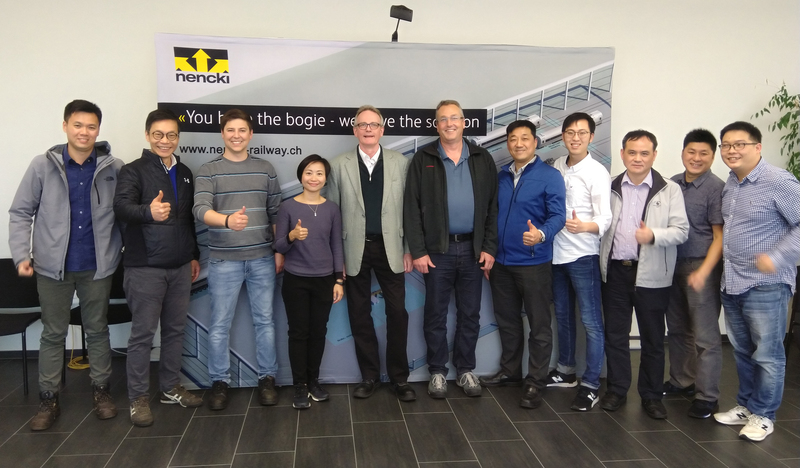 Also here our thanks to the visitors and Nencki sales partners who visited us from all over the world. 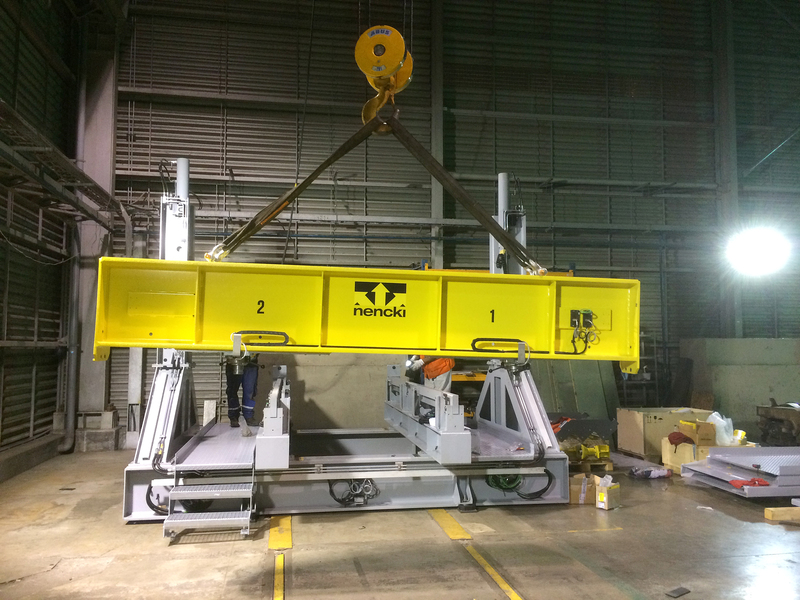 The Nencki bogie exchanging system consists of a movable scissor lifting table and servese the purpose of transporting bogies from the workshop to the bogie preparation department or reverse. The travel distance of the bogie drop table between the old and new hall in the village of Zweilütschinen is 25 metres. The bogies stored in the basement can be exchanged at the desired storage location and moved to the required destination with the bogie exchanging system. 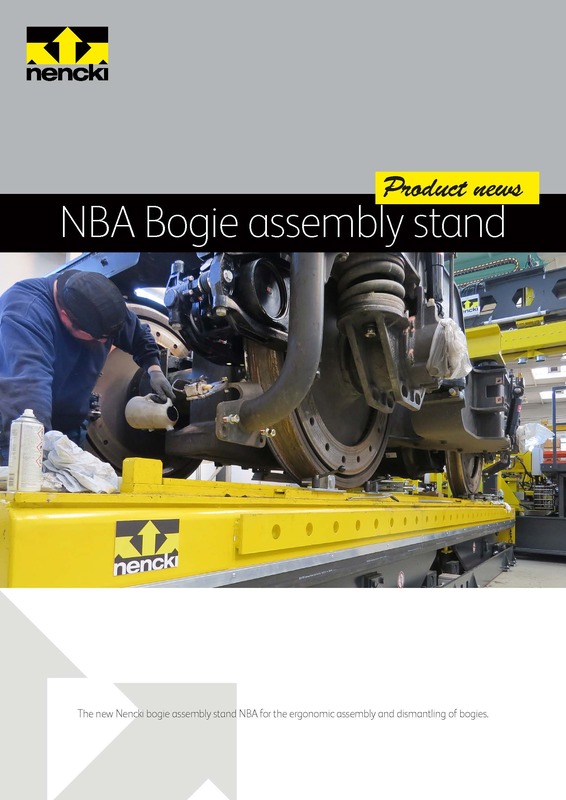 Nencki has sold and can supply the second bogie test stand NBT Loco 2x450 kN for locomotive bogies to Transnet Engineering of South Africa. Transnet is the South African State freight railway operator. 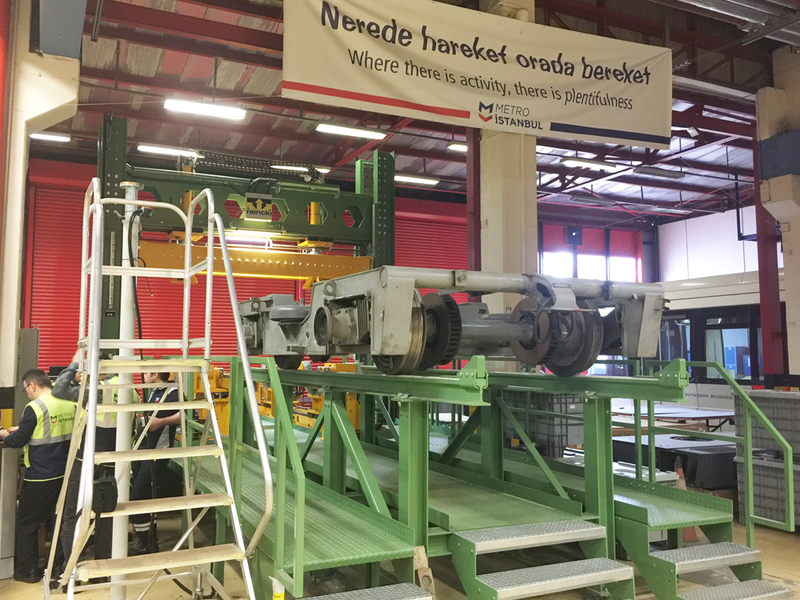 For the assembly of new locomotive bogies, produced under joint venture with CRRC and GE and subsequent maintenance at the factory in Kodeospoort near Pretoria, Nencki is delivering a bogie test stand for 3-axle bogies, wheighing 36 tons. The machine can apply a test load of 2 x 45 tons, can measure wheel load distribution, axle and wheel shoulder distances and measure several important heights, to be adjusted on bogies. 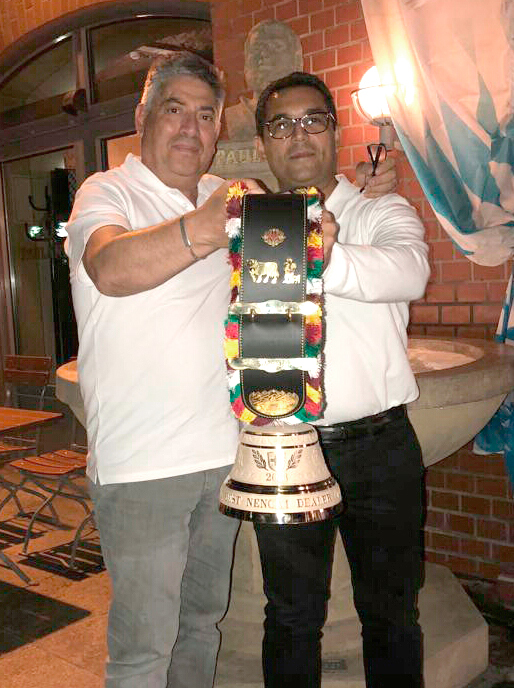 The first machine is already in operation at the location of Transnet Engineering in Durban, where bogies under a joint venture with Bombardier are manufactured. 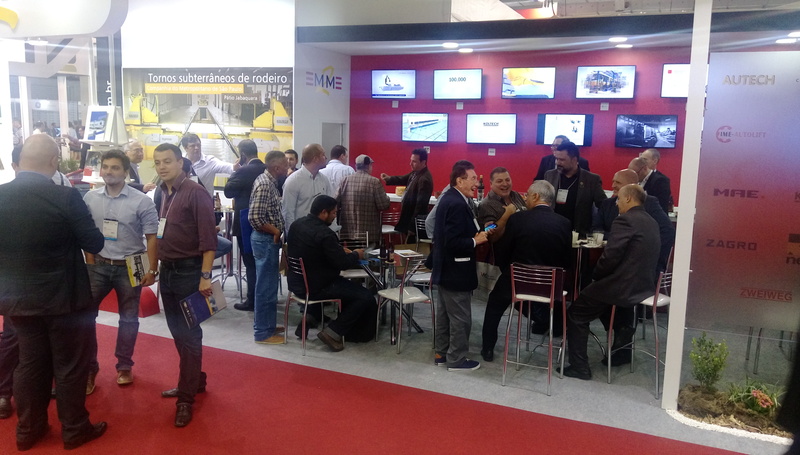 Although the Negócios nos trilhos fair was slightly smaller this year than in the past years, the exhibition stand of our partner Emme2, which represents different european companies, was very well visited. 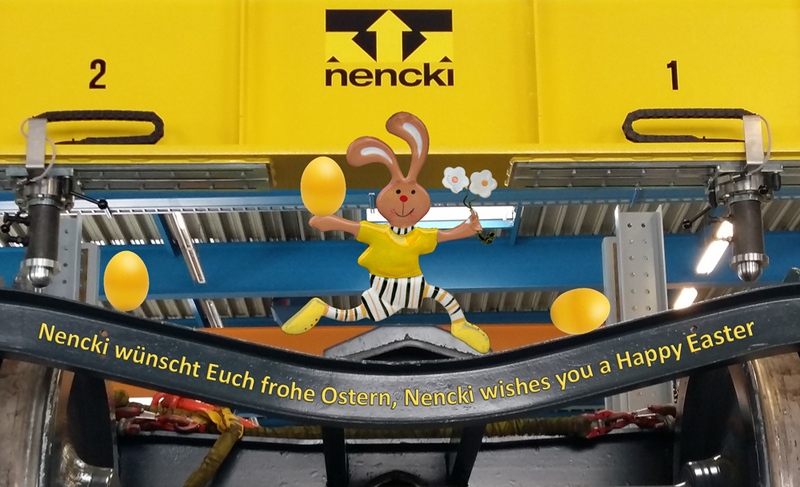 Nencki could maintain the personally contact to the potentially most important customers and present the latest strategie of the integrated bogie workshop. After one of the largest gouvernment crisis in Brazil came through, all look positively into the future and the growth of the rail transport. Many thanks to all of our customers, which visited us, Muito obrigado por nossos clientes para visitarnos na feira. 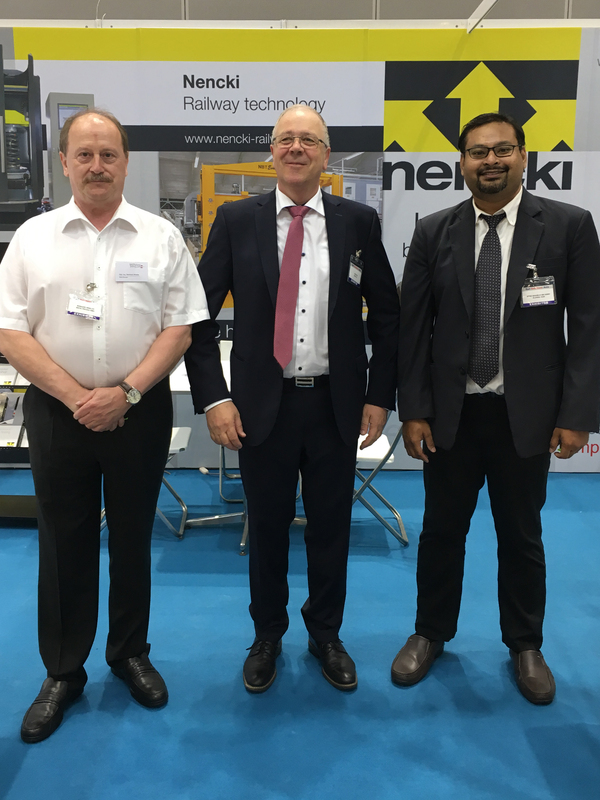 Nencki Ltd., 4901 Langenthal, Switzerland, being the worldwide leader of test- and maintenance equipment for the railway industry, has successfully introduced its advanced railway technology to the Middle East. 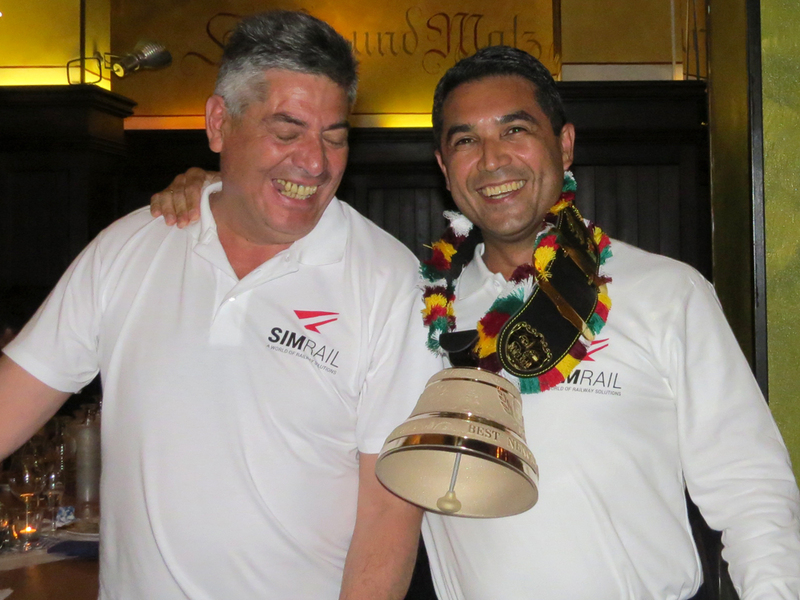 The worldwide largest railway fair InnoTrans 2016 took place successfully in Berlin, Germany. 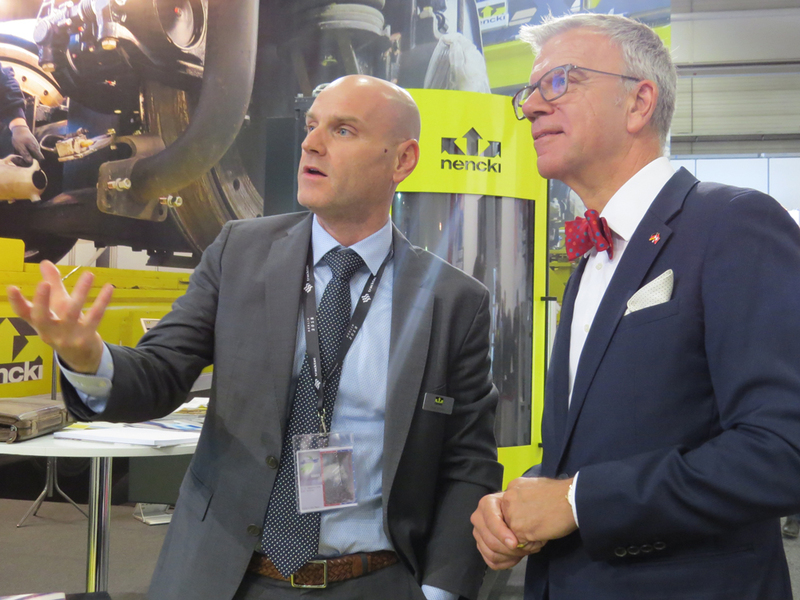 Nencki, the Swiss company, which is a leading supplier of bogie test stands, presented the latest concept for integrated bogie workshops on their exhibition stand. 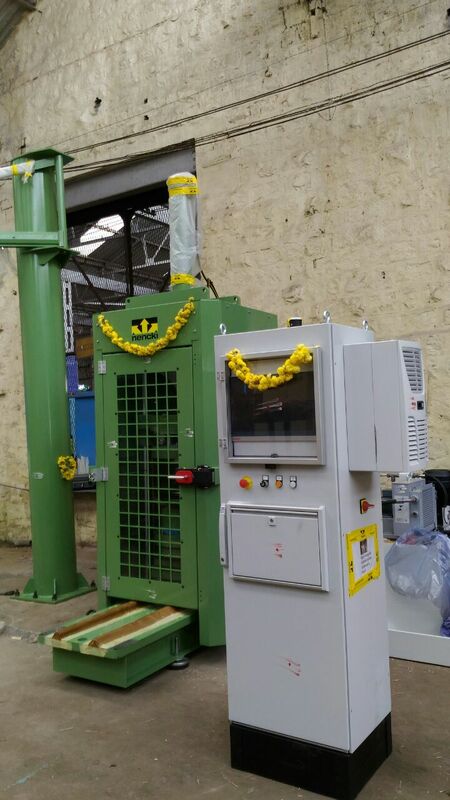 In India new machines are inaugurated with a flower ceremony in order to protect from negative influences. At the same time, Nencki is commissioning a second machine in the workshop of Perambur. In the workshops at Jagadhari, Liluah and in the spring factory of RSK Gwalior more of Nencki spring presses are already in operation.